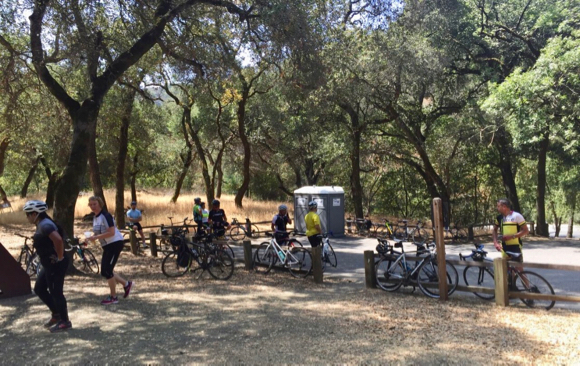 Another great Tour de Menlo — my fourth — held on Saturday, August 18. Taking off from Menlo-Atherton High School, stops included Crystal Springs, Portola Valley and Stevens Canyon Park on the 65-mile ride I did. Whether riders chose the 65-, 46- or 35 mile ride, they all returned to M-A where there was lunch and music. Rotary Club member Tom Gibboney [pictured right] told me there were 417 participants. As usual the ride was extremely well organized. The volunteers from Rotary and elsewhere were all very helpful and friendly. 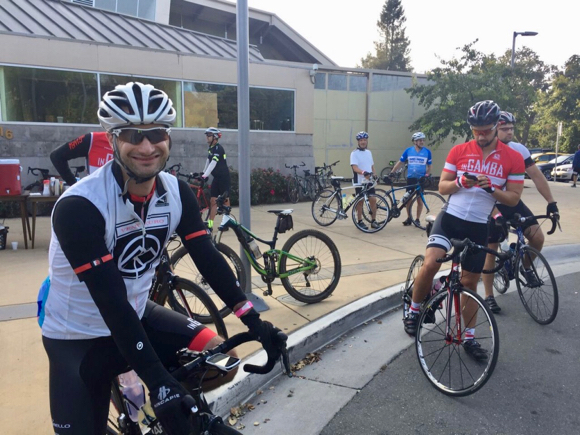 Editor’s note: The ride is sponsored by the Rotary Club of Menlo Park Foundation and the Almanac. All proceeds are used to support need-based Rotary scholarships, numerous other Rotary Foundation projects and the Almanac’s Holiday Fund, which contributes more than $150,000 a year to 10 local nonprofits. Thanks Jym: nice write-up. One important correction: although we wish we had 517 riders we only had 417. Please correct.